For the best quality City of Busselton phone repairs service, make a quick visit to FixBox Phone Repairs in Dunsborough. Easily accessible for Busselton, Dunsborough, Yallingup, Jarrahwood, Vasse, Carbunup, Wonnerup, Broadwater, Geographe, Eagle Bay, West Busselton, Abbey, Quindalup and Bovell residents and visitors, FixBox Phone Repairs Dunsborough is the best in mobile tech and device repairs. The mobile phone repair industry is always evolving, with new products and accessories constantly becoming available. FixBox Phone Repairs are always ahead of the curve, providing the best service to our amazing customers. We offer full credit card eftpos facilities, incredibly fast repair time turnarounds, with most mobile repairs only taking 20 minutes. Even though we use only high quality repair parts, we’re always looking to beat our competitors prices. So if you see a better price advertised by a south west phone repairer, we’ll happily beat it! Busselton phone repairs in the past have at times been a tedious process, with overpriced and poor quality repairs being the norm. 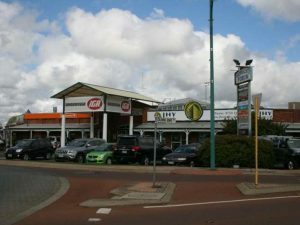 That has now changed with the arrival of FixBox Phone Repairs Dunsborough store. We’re providing City of Busselton phone repairs at a fraction of the cost, despite using exceptional quality parts and technicians. Come in and check out our top quality accessories, ask our experienced technical staff for free advice, show us your broken mobile tech and devices for a free quote, or just come in and sit in our air conditioned shop. So next time you’re in need of some Busselton phone repairs and mobile tech device repairs or advice, drop in to FixBox Phone Repairs Dunsborough in the Naturaliste Forum at 9A/42 Dunn Bay Road, Dunsborough. If you live closer to Margaret River, then FixBox Phone Repairs is also located there in the Settlers Arcade, next to Target and Squid Lips at 116-118 Bussell Highway Margaret River.